Undefeated highly ranked Filipino boxer is set to face the undefeated WBC Silver flyweight champion from Pakistan Muhammad Waseem on November 27, 2016 at Millennium Hilton Hotel, Seoul, South Korea. 21 years old Giemel Magramo is one of the top prospects in the Philippines. He has an impressive record consisting of 17 wins including 13 big victories by way of KO. Magramo is a hardhitting boxer and a slugger and he keeps moving forward and connects mostly to the body. 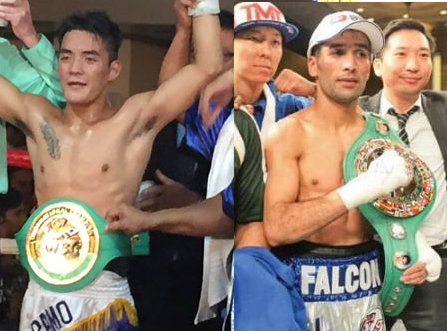 Magramo is the former WBC International flyweight champion and he defeated Renz Rosia via UD in his last fight. On the other hand, Muhammad Waseem is a tested boxer in AIBA and won multiple medals including, Bronze in 2014 Incheon Asian Games, Gold at 2010 Beijing in World Combat Games, Silver at the 2010 Dhaka, South Asian Games and more. Waseem turn pro in 2015 and win his last 4 fights including his fight against a highly regarded fighter from the Philippines Jether Oliva for the WBC Silver flyweight.